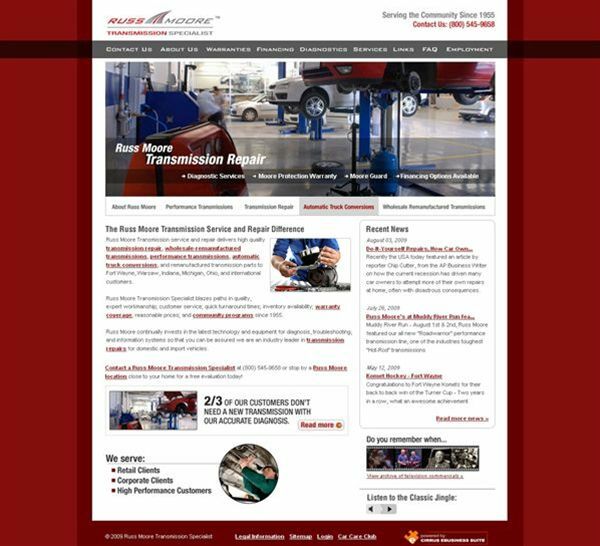 Russ Moore Transmission realized newspaper ads and yellow page placement no longer brought in the business they used to, and it wasn’t worth continuing to invest in them. 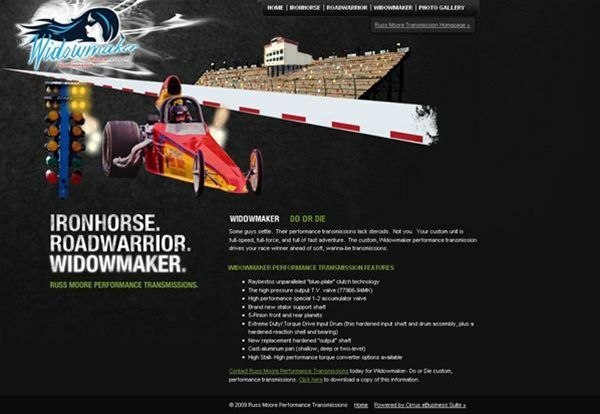 So, Russ Moore came to Fort Wayne Web design and development firm Cirrus ABS for a website enabling it to do business online. 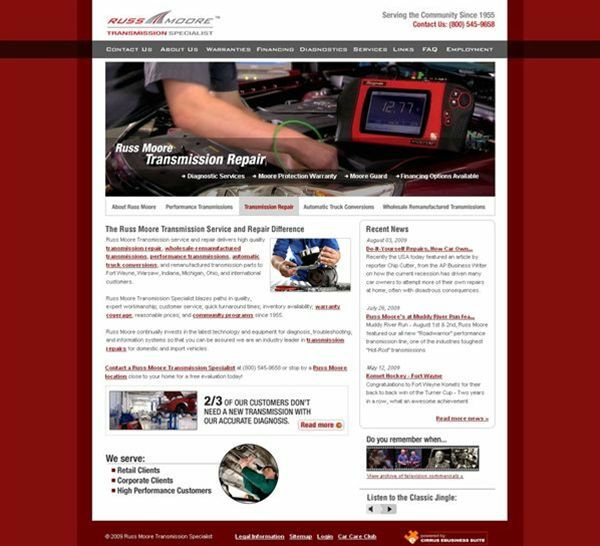 Once prospective clients visit Russ Moore’s website, the professional look and feel of the website provides immediate credibility for the company’s products and services. 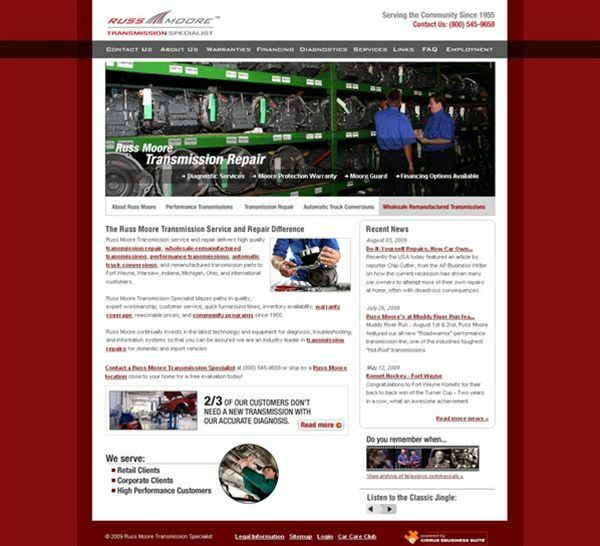 However, if any of the website’s contents need to be modified, the staff of Russ Moore is able to manage this content through various Cirrus eBusiness Suite Modules without any need for technical skills. 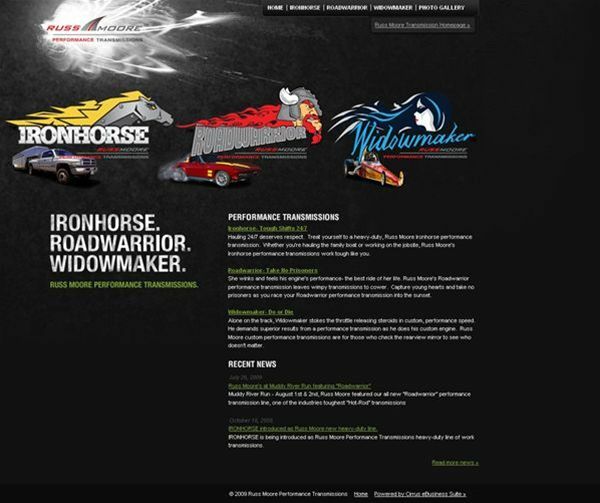 The next step in completing Russ Moore’s website was to help them create a venue for promoting its own brand of products. 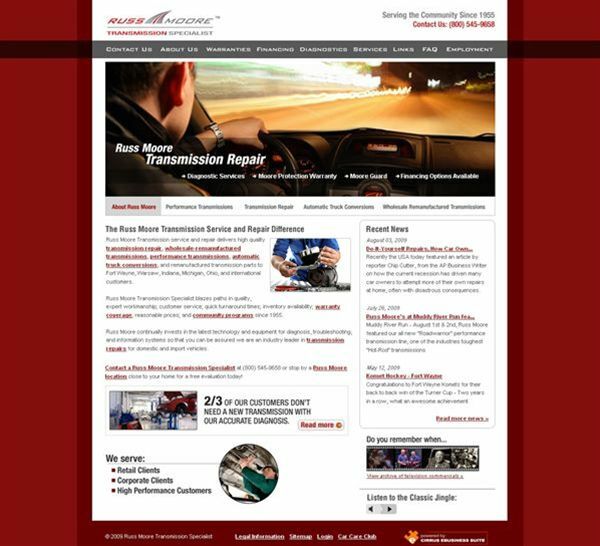 In addition to Russ Moore’s expertise in transmission repair, they also sell their own line of high-performance transmissions. 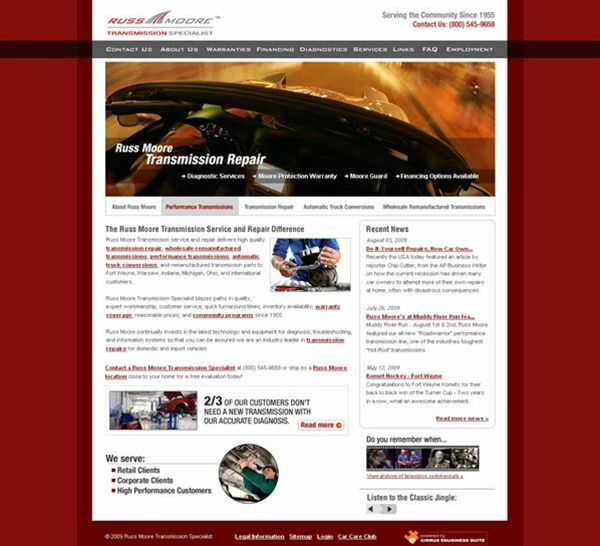 The talented Cirrus ABS branding team worked with Russ Moore to create a cutting-edge online retail experience by utilizing custom flash design. 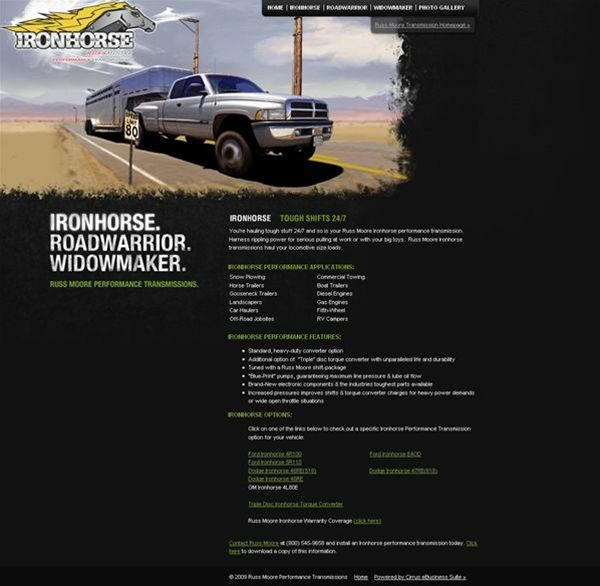 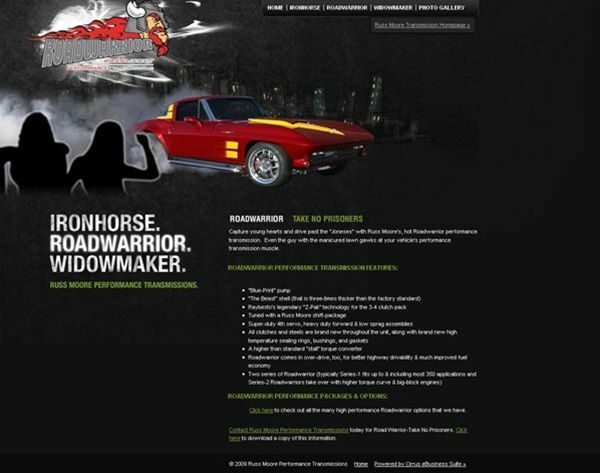 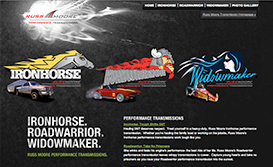 These interactive, attention-grabbing graphics produced alongside unique audiovisual techniques have provided Russ Moore with an engaging website for promoting its own brand of products.